The Friends of friends addition is one of the most useless features present in the Xbox Live Fall update. While some casual players may be thrilled about the social networking dash added, many voices ask one thing: where’s our privacy, Microsoft? The problem stems from the fact that no matter what they privacy setting they choose (Open, Friends-Only or Blocked ), players will never be able to stay invisible from others, especially strangers found on their friends list of friends. Their gamertags and gamerscores will displayed on a friend’s list, if the latter chose the Open setting for the Friends of Friends. Xbox Live user can, of course, delete their friends from the list, but that’s hardly a choice. "While not completely anonymous, Xbox LIVE Members do still have a means to determine how much of their profile they show. Within Privacy Settings they can choose to block the profile, then only Gamertag and Gamerscore will show up anywhere in the system. And as we described, if they set the profile setting to Friend’s only then only Friends will ever see their custom profile info — name, location, bio, motto, personal picture — regardless of whose list their gamertag is on." Not having the complete control of their privacy is sure to thrill Xbox Live users, especially since such features are already in place on social networking sites. On Facebook for instance (yes, the same Facebook guilty for the Beacon program mess) users are allowed to go into total hiding, with the ability of removing themselves from the site’s search engine as part of the deal. 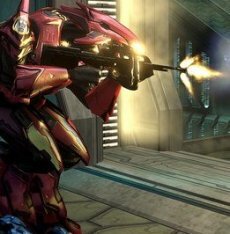 Furthermore, there is a slight difference between Xbox Live and site like Facebook or MySpace: users already knew what are they signing up for. 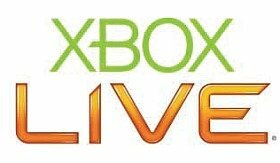 Xbox Live users go online to play, or, as Jack Thompson would have it, “to socialize in activities aimed at ripping the digital other apart with whatever may be at hand”.